Nothing inflames the language gripers like a misplaced disinterested, an illogical irregardless, a hideous operationalisation. To purists these are 'howlers' and 'non-words', fit only for scorn. But in their rush to condemn such terms, are the naysayers missing something? 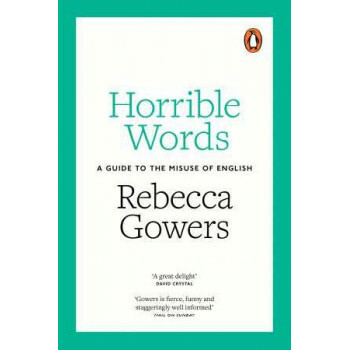 In this provocative and hugely entertaining book, Rebecca Gowers throws light on a great array of horrible words, and shows how the diktats of the pedants are repeatedly based on misinformation, false reasoning and straight-up snobbery. The result is a brilliant work of history, a surreptitious introduction to linguistics, and a mischievous salute to the misusers of the language. It is also a bold manifesto asserting our common rights over English, even as it questions the true nature of style.